Disclaimer: Take note that the following tips and tricks are meant for educational purposes, so use this information with proper discretion. But then again, who are we kidding? 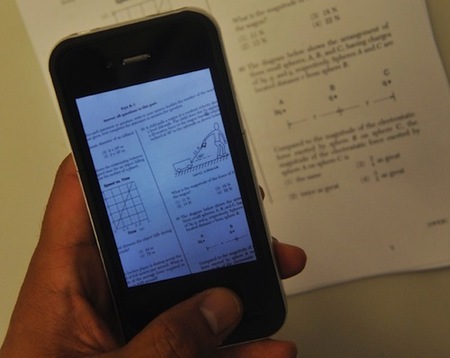 You’ll try these exam cheating tricks out anyway. Education is a wonderful thing, but it can get downright boring and demotivating due to a number of reasons. It’s easier said than done to force oneself to drive forth and learn to love the process, but that’s mostly possible only with hindsight and experience. This could just be the golden age of cheating in tests due to the technology that’s readily available to students these days. There are plenty of options in just one mobile device, from the good old note or text message from a conspirator to an app or looking up and saving web pages on the Internet. You can have audio notes that you can listen to for questions that you can’t seem to answer. You can either wear a hoodie or long hair to conceal the earphones that let you listen to those notes or somehow excuse yourself for a bathroom break to quickly get a few minutes to listen. If you have some patience and a pen with a really fine tip and good ink, then you can actually write notes on your fingernails, especially on the thumbs. You can also write them on your skin, but that can be obvious and easily smudged, so having them on the fingernail may minimize that. This trick is especially good for girls who like to grow their nails a bit, so there’s more real estate to write their answers on. Perhaps you can wear a cap indoors, which can make you look rather dumb, but you’ll have another option if it’s actually allowed there. Just write some notes underneath the brim so you can just look up and see them. However, it’s not exactly the most subtle of tricks and all that’s needed for it to go wrong is a particularly disdainful teacher with the cheek to take that cap off and look at what’s underneath. This is a tried-and-true technique that has worked throughout the years. Taping notes on your thigh, then covering it up with your shorts or skirt is a tried-and-true cheating trick that does work most of the time. All you need to do is to make sure that your execution is perfect so you don’t get caught and actually get to put down the right answers. You can also write down notes on a piece of tissue paper and look at it while doing something to justify the need for it like pretending to have a cold. Don’t make the tissue too visible though as it can raise suspicion. This is for tests that make use of scratch paper, like in math. For example, if you can’t remember some formula or sequence, you can write them on a sheet of paper with another sheet underneath. 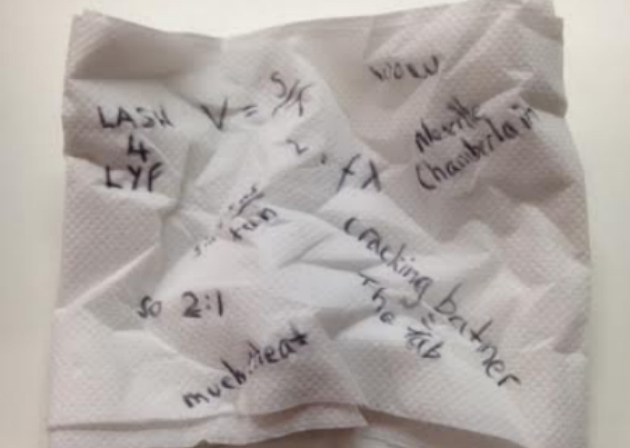 Once done, you take that sheet underneath and use that as your cheat sheet. You have to write it in such a way that you’ll be able to see the impressions easily enough. 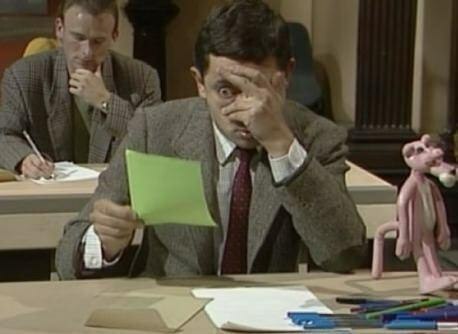 It’s recommended that the paper be the same kind as the scratch paper used in the test. This one requires some special equipment. If you tend to wear glasses and are aware of mirror glasses, you’ll know what to do with this one. You can write use them in a variety of ways, from using it as a rear view mirror to copy of a classmate or even write your notes on the inside since they won’t be visible from the front. For girls with ample proportions, that void on your top in between your chest area is a great place to hide a cheat sheet. Just make sure you don’t make it too obvious that you’re looking at the inside of your top a bit too often, not to mention the perverts who may get a look at the goods. You can write notes on the shaft of your pen or pencil, but that can be a bit obvious if your teacher is particularly eagle-eyed. 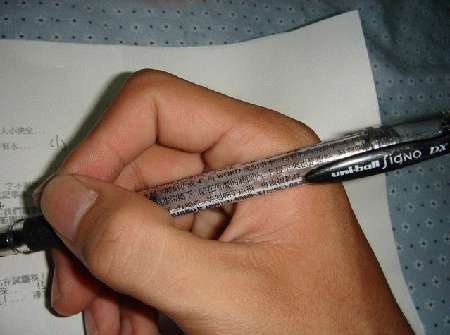 A neat trick you can do is to engrave your notes with a needle on the shaft so you can still read them while not making it obvious enough with the ink. It may take some practice though since you need to learn how to make those etchings visible for you to read. You can actually have the answers without having to look at them from somewhere during the exam and never get caught for cheating. All you have to do is to get all that information in your head with effective study techniques. What a concept!